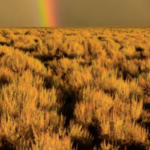 USGS scientists are working with the Landsat-based NLCD shrubland dataset to help land managers restore native sagebrush landscapes. 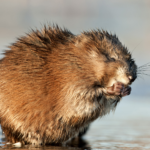 Stanford research shows the drying trend in Canada’s Peace-Athabasca Delta is linked to the long-term decline in populations of the semi-aquatic muskrat. 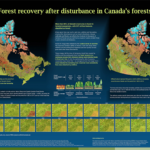 Access to image data collected by the Landsat series of satellites has improved Canada’s ability to observe, track and study forest disturbances. 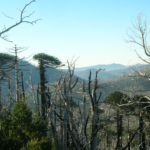 The first study that connects field-measured data with satellite-derived burn severity in this corner of the world. 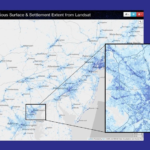 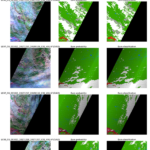 A new Burned Area algorithm has been developed by USGS to identify burned areas in images across the Landsat archive. 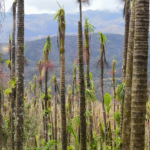 The patterns of large-scale tropical deforestation endure across landscapes, even after more than a half-century of tropical rainforest expansion and growth.